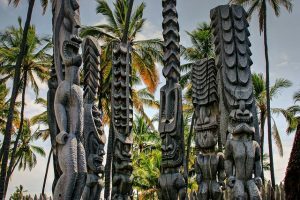 Hawaii is both the name of the US state that encompasses the various islands as well as the name of the single biggest island in the chain, also known as Big Island to set is apart. The Big Island is larger than all the other islands combined and is the biggest island in the entire US. This means that there is plenty to do and see across the island and here we look at a few of the highlights. 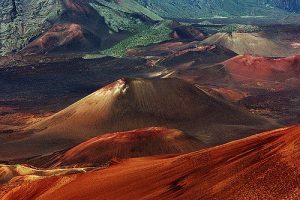 Hawaii is basically made up from five huge volcanoes, three of which are active, one of which is dormant and the fifth being extinct. Kilauea has been active continuously since 1983 while both Hualalai and Mauna Loa are active. Mauna Kea is currently dormant while Kohala is classed as extinct. The Hawaii Volcanoes National Park was established back in 1916 and is 30 miles south-west of Hilo. It is home to Kilauea as well as offering a great view of Mauna Loa, which takes up the largest part of the island. Highlights include the Chain of Craters Road and the Crater Rim Drive, an 11-mile route around the Kilauea caldera. There are plenty of amazing beaches around the island for a variety of water sports. Pololu Valley is one that is more for sightseeing that sports as it has some rough surf and a presence of Portuguese Man-o-war jellyfish. But it is worth seeing due to its fine black sand with an edging of black lava rock and emerald green ground cover. There is a picnic site by the beach and while the track down is easy, walking back up can be a little more strenuous! If you want a traditional beach, then Hapuna Beach State Park will be perfect. With a half mile of golden sands and beautiful clear water, the beach is often rated as one of the best in the entire US. The surf is quite calm during summer though a little more excitable in winter and snorkeling is great at the south end of the beach. Waikoloa Beach is a beautiful area with plenty to see and do and there is also plenty of accommodation options nearby including those offers by Big Island Vacation Rentals. The area includes Anaehoomalu Bay, best known for snorkeling opportunities as well as the royal fishponds. The anchialine ponds are an important part of Hawaiian culture and are worth a visit, offering a microclimate of fish, mollusks and shrimp. 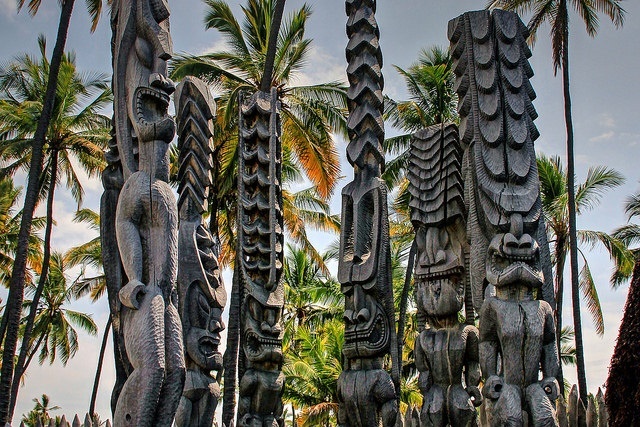 No visit to Big Island is complete without seeing the Pu’uhonua o Honaunau or the Place of Refuge. This was where the former rulers of the island made their home and it has been transformed back to how it looked during those times allowing visitors to step back into history. All recreations use traditional methods and materials and visitors can see the famous double hulled canoes the islanders made. The Hale o Keawe is the place where the bones of 23 former rulers are buried and is said to contain much mana or life force.